ECEEN Solar power systemThe system is design via lightweight, flexible and high efficiency solar cells with USB voltage regulator, and solar battery special to collect solar powered etc. 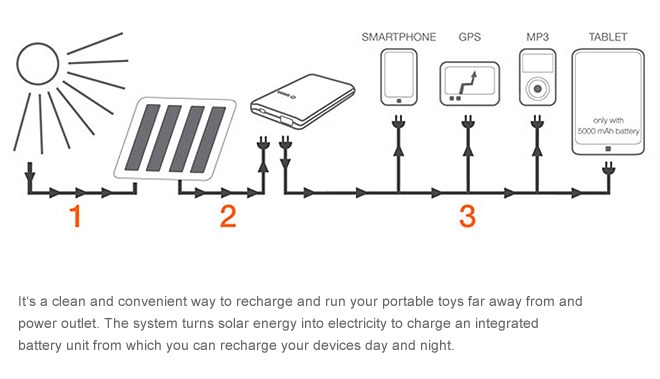 Photovoltaic panels turn sunlight into electricity that can be stored in the high capacity USB battery unit. 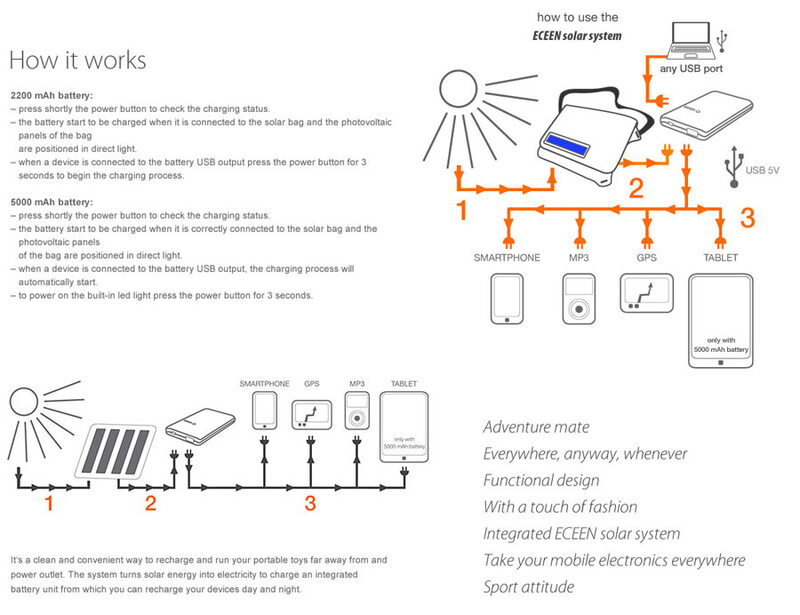 Whenever you need it, you can plug your device to the battery to continue using it also when it runs out of charge. We test all our solar products during expeditions around the world with the collaboration of professional teams that need power in every climate condition. Next news:This is a winner! An excellent buy and super portable!